Ombwe, a bottomless pit of nothingness, a creation of that familiar stranger, the goddess of creative thought. What a phrase, what a thought… fecund with meaning, this contradictory duality of no and thing that she ordained. This our familiar strange goddess of creative thought! Of nothing, no more to say, nothing invoked by this new creation of the English language commanded into being by this, our familiar stranger goddess of creative thought? Like the void it is, out of its empty bowel, nothingness conjured rhymes ranging from spirituality to the torturous tale of a people heavy laden with the weight of their perpetual defeat. Imagine a bottomless pit of nothingness! Intriguing this emptiness out of which rises a rallying call for resurrection, peace, pride and rootedness; and Imagine why I read culture and another life, incredible offering to the goddess of creative thought! And we let it happen? Walls of oppression past and present! At the dawn of an era alien to him. 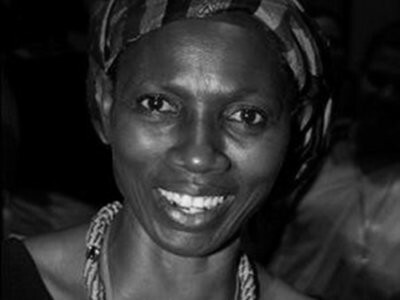 Demere Kitunga is a feminist activist and advocate for literacy. She engages with literature and knowledge generation in various forms and through it mentor young people to become free thinkers and creative communicators. She is the head of E&D Readership and Development Agency popularly known as Soma (synonym for read and learn in Kiswahili), a not for profit outfit which runs Soma Book Café, a literary hub for leisure, culture and learning. She shares her poems individually and in relevant platforms including: Tanzanian and African feminist collective; Fanani Flava, Kisima cha Mashairi (an online poetry collective); and Waka Poetry Consortium. Her published poems include but are not limited to: a translation into Kiswahili of A new Initiation Song by Elizabeth Khaxas first published in Sister Namibia; and a few in Diwani ya Kisima Juzuu la I a Swahili anthology I co-edited with Kahabi Isangula published online (available on Amazon).